Breakfast at Hotel. Day free until departure transfer to Paris CDG or Orly Airport. Check out of Hotel by 1100hrs. 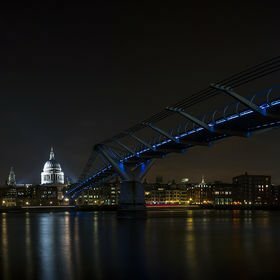 Upgrade To Stay: Copthorne Tara Hotel or similar in London and Mercure Paris Montmarte or similar in Paris at $210 per person. Milan Cathedral, Galleria Vittorio Emanuele II, Via Montenapoleone, Milan Fashion District, Lion Monument, French Revolution, Chapel Bridge, Lake Lucerne. 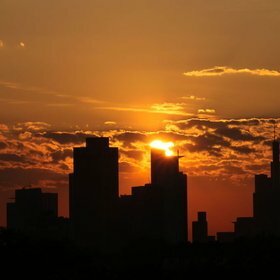 In the morning, we will go sightseeing in Europe’s financial centre – Frankfurt. It is located in the middle of the Rhine River. We will visit the famous Römerberg Plaza and St. Paul’s Church, which are next to the Rhine River. As a tribute to its symbolism of freedom, St. Paul’s Church was the first structure in Frankfurt the city rebuilt after World War II. Afterwards, we enjoy shopping at the nearby city centre then continue our journey to Füssen, a town in Bavaria, Germany. Overnight stay in Füssen or nearby city. In the morning, begin the Milan city tour. Milan is the main industrial, commercial and financial centre of Italy as well as a major world fashion and design capital. First visit the symbol of Milan – Milan Cathedral, the fifth largest cathedral in the world. Afterwards, enjoy shopping at Galleria Vittorio Emanuele II, the oldest shopping mall in Italy, as well as Via Montenapoleone, an elegant and expensive street in the Milan Fashion District. In the afternoon, we continue our journey to Lucerne, Switzerland. Visit the Lion Monument, which commemorates the Swiss Guards massacred during the French Revolution, and Chapel Bridge, which is located near the famous Lake Lucerne. Overnight stay in Lucerne or nearby city. Visit Engelberg and experience the world’s first revolving cable car (approx. 45 mins) that takes you to the top of Switzerland’s highest vantage point, Mt. Titlis, with a breath-taking 360 degree view. At an altitude of 3020 metres above sea level, visitors are treated to a fabulous view of the central Alps. Afterwards, have lunch at the restaurant (at own expenses) surrounded by a spectacular view of snow before continuing on the journey to Nancy, France. Overnight stay in Nancy or nearby city. Visit the city of Nancy, where Place Stanislas, a large pedestrianized square is located. It is considered the most beautiful royal square in Europe and is on UNESCO’s World Heritage List. Afterwards, proceed to Paris to visit all the world-famous spots, including Champs-Élysées, “the most beautiful avenue in the world” where the magnificent Arc de Triomphe is situated at the western end while Place de la Concorde, a major public square is located at the eastern end. Visit Notre Dame, one of the finest examples of French Gothic architecture as well as Paris’ landmark, the Eiffel Tower. Enjoy shopping at the famous Galeries Lafayette, an upmarket French department store company. To enjoy the French night scene, our guide will be pleased to book a boat trip or alternatively you can watch the famous “Lido” show (at own expenses). Overnight stay in Paris or nearby city. In the morning, visit the world famous Louvre Museum, one of the world’s largest museums, and a historic monument. Nearly 35,000 objects from prehistory to the 19th century are exhibited over an area of 60,600 square metres and with more than 8 million visitors each year; the Louvre is the world's most visited museum. 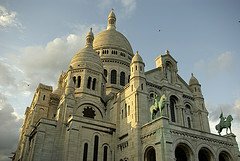 Afterwards, visit Montmartre, a hill that is 130 metres high where the popular landmark The Basilica of the Sacred Heart of Paris is located. Later, we continue our journey to the Netherlands and have dinner (at own expenses) in the Amsterdam city centre. Overnight stay in Amsterdam or nearby city. Visit the Dam Square, one of the most well-known locations in the city due to its notable buildings and frequent events. Enjoy shopping for souvenirs and clothes at H&amp;M or Bijenkorf, a 20,000 m2 shopper’s paradise selling anything from groceries to diamonds. Amsterdam is also famous for diamonds with sophisticated polishing technology; we will visit the Diamond Factory. Afterwards, proceed to the unique Zaanse Schans, which has a collection of well-preserved historic windmills and houses. In the afternoon, we head back to Frankfurt. Overnight stay in Frankfurt. Enjoy a free day in Frankfurt until proceeding to the airport for your flight back to Singapore. Upon arrival in Paris, transfer to hotel. Enjoy a leisure day in Paris. Overnight in Paris or a nearby city. Paris – Lucerne (650 km) In the morning, we will enjoy a scenic journey across classic French countryside en route to mountainous Switzerland. We will pass through Basel, which is located at the point where the Swiss, French and German borders meet, before arriving at the picturesque lakeside city of Lucerne. Here you will get to see Lucerne’s famous landmarks, including Chapel Bridge, the Water Tower, followed by some free time to shop or take pictures. Overnight in Lucerne or a nearby city. Lucerne – Milan – Verona – Venice (400 km) Today, we head south from Lucerne into northern Italy, where our first stop will be Milan, the fashion capital of the world. The tour in Milan will introduce you to the city’s iconic sights including Sforza Castle, Duomo (Gothic Cathedral) and La Scala opera house. We will also see one of the world’s oldest shopping malls, Galleria Vittorio Emanuele II. Afterwards, we continue our journey to Verona, home to some of Italy’s finest architecture and a UNESCO World Heritage Site. Enjoy a tour on foot and walk past the Roman amphitheatre, Verona Arena. Visit the residence of Verona’s most famous characters, Romeo and Juliet. After some free time, we will proceed to Venice. Overnight in Mestre or a nearby city. Venice – Rome (550 km) Today, we will first begin with a waterbus ride to San Marco Island and along the way seeing distinctive waterside buildings. Once on the island, we will embark on a tour to famous locations, beginning in the Piazzo with the Basilica di San Marco, a stunning piece of Byzantine architecture. We will also see the legendary Bridge of Sighs which connects the old prison to the interrogation rooms in the Doge’s Palace. Afterwards, we will witness some traditional Venetian craftwork at close quarters with a demonstration by Murano glassblowers. You can also choose to take a gondola ride* to the Grand Canal. In the afternoon, we proceed to Rome. Overnight in Rome or a nearby city. Rome – Vatican – Florence (280 km) The day starts with a visit to the smallest state in the world, Vatican City, which lies at the heart of the Italian capital. Here you will marvel at St. Peter’s Basilica which was completed in 1615. Alternatively, you can choose to add on an optional Sistine Chapel* tour to view Michelangelo’s famous painted ceiling. Next, we head to the Trevi Fountain, the lavish Baroque showpiece where people flock to throw coins into the water – an action which is said to ensure you will return to the city again one day. After lunch, it is highly recommended for you to take an optional guided tour of the The Colosseum, which was built in the year AD72. Afterwards, we proceed to the nearby Arch of Constantine, which was originally built as a temple to all gods, but has been a Christian church since the 7th century. Then, we spend some free time enjoying Rome, before heading to Florence in the late evening. Overnight in Florence or a nearby city. Florence – Pisa – Genoa (250 km) We begin the day by taking in a wonderful panoramic overview of the city from Piazzale Michelangelo, which boasts glorious vistas over the red roofs, Arno River and ancient city walls out towards the surrounding countryside. Next, we see a demonstration of the traditional craft of leather working in a local workshop. From here, we will enjoy a guided walk around Florence’s many highlights, including Ponte Vecchio, Piazza del Duomo and Campanile Tower. We will also pass Uffizi Gallery, one of the finest art galleries in the world. After the tour, we will free time to roam the streets, shop and relax at street side cafes. Afterwards, we head to Pisa, where many beautiful landmarks are located, including Leaning Tower of Pisa, Duomo (Cathedral) and the Baptistery. Overnight in Genoa or a nearby city. Genoa – Monaco – Nice – Cannes – Avignon (450 km) This morning, we take a breathtaking drive along one of Europe’s most famous stretches of Mediterranean coastline as we head towards Monaco. Look out for the famous Monte -Carlo Casino as we cruise into town. A walking sightseeing tour here takes you to the grand Prince’s Palace, where we will have some free time, before continuing to view 1920s Courthouse, Cliffside Oceanographic Museum, and the cathedral, where Grace Kelly is buried. We then travel further to visit the famous Fragonard Perfume Factory. Here, we will be taken on a fascinating guided tour around this working factory. Afterwards, we proceed to Nice, where we will stop for lunch to sample some excellent local cuisine and warm-hearted hospitality. Our journey continues to Cannes, where we will stop for photos of the Palais des Festival, home to the city’s annual international film festival, before transferring to Avignon Nord. Overnight in Avignon or a nearby city. Avignon – Paris (700 km) In the morning, as we head north to Paris, take a rest today as we enjoy great views of the changing rural charms of the French countryside. Overnight in Paris or a nearby city. Depart from Paris and board the flight back home. Please take note that the itinerary is for reference only and is subject to changes without prior notice. Accurate itinerary will be given to passengers prior to departures. Our local representatives reserve the right in adjusting the sequences of itinerary due to safety reason & unforeseen circumstances. To discover more parts of Europe, consider continuing your trip on the 8D7N England & Scotland package. Upon arrival in Frankfurt, transfer to hotel. 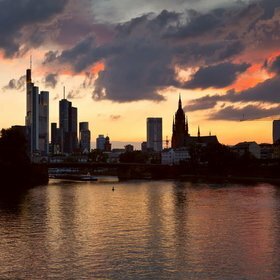 Enjoy a leisure day in Frankfurt. Overnight in Frankfurt or a nearby city. Frankfurt – Bonn – Cologne – Amsterdam (500 km) We continue our journey to Bonn, the capital of West Germany from the year 1949 to 1990. Visit Bonn’s Altes Rathaus (Old Town Hall) which was completed in Rococo style in 1780 and also where John F. Kennedy and Queen Elizabeth II gave speeches. Afterwards, proceed to Bonn’s main attraction, Ludwig Van Beethoven Haus which contains the largest Beethoven collection in the world – the impressive authentic documents bear witness to Beethoven's life and compositions. Afterwards, we will drive to Cologne, where we will visit the Cologne Cathedral, the most famous heritage in this city. After lunch, we will proceed to Amsterdam. Overnight in Amsterdam or a nearby city. Amsterdam – Zaanse Schans – Amsterdam (50 km) In the morning, enjoy a sightseeing tour on a countryside excursion to the village of Zaanse Schans, where we will visit the Wooden Shoes Factory, Cheese Farm and stop for photos at the Windmills which was one of the most important and historic architecture since The Netherlands started to establish their country. (From mid-March to mid-May, the trip to Zaanse Schans will be replaced by a visit to Keukenhof Garden, a *32 hectare seasonal exhibition of beautifully coloured and scented displays of spring flowers) Afterwards, we will travel back to the city centre and visit a famous diamond factory which has been in a high technique since the 16th century. Then, free time for leisure and perhaps take a Canal Cruise* to enjoy the evening before dinner. Overnight in Amsterdam or a nearby city. Amsterdam – Brussels – Paris (500 km) The day begins with a drive to Brussels, the Belgian capital, and along the way, stop for a photo at the Atomium, a monument of the first World Fair after the WW II which took place in Brussels in 1958. Then, drive to the city centre and visit Grand Place, the central square of Brussels which is known to be an architectural jewel. Visit Mannenken Pis as well, which is a landmark small bronze sculpture in Brussels depicting a naked little boy urinating into a fountain's basin. Afterwards, we continue our journey to Paris. Overnight in Paris or a nearby city. Paris – Versailles – Paris (60 km) Today, we will enjoy a sightseeing tour which includes the Arc de Triomphe, a drive along the Avenue des Champs-Élysées to the Place de la Concorde, where the royal and many aristocracy members were guillotined there during the Revolution. Then, visit Hotel des Invalides, where Napoleon’s tomb is located. Later, we will stop at the Eiffel Tower* for photos. You can choose to make the optional ascent of the tower for unbeatable views over the city, and also take a leisure cruise along the Seine River* which offers views including Notre Dame Cathedral and Pont Alexandre III. Afterwards, we will travel out of Paris to Palace of Versailles, which was the residence of the royal family from *1722 to 1789. In the evening, you can enjoy one of the optional Paris evening shows. Overnight in Paris or a nearby city. Our morning visit is to one of the world’s greatest art museums –The Louvre*, where you will set your eyes upon some of history’s most famous masterpieces, including the Venus de Milo, Winged Victory of Samothrace (also called Nike of Samothrace) and Leonardo da Vinci’s Mona Lisa. You can choose to opt for a guided gallery tour. Afterwards, proceed to Place d’ Italie for lunch. Then, head to the area surrounding Palais Garnier, which is Paris’ opera house. The rest of the afternoon is free for you to shop at legendary department stores Galeries Lafayette and Printemps. After dinner, transfer to the hotel. Overnight in Paris or a nearby city. Paris – Reims – Luxembourg (420 km) In the morning, we will embark on our journey along the beautiful countryside of France to Reims, the capital of Champagne – an old province of France made famous by its Champagne sparkling wine. Reims played a very important role in French history, as it was the place where the kings of France were crowned since the 11th century. Thus, the Cathedral of Reims became the most important heritage here. Later, we will drive ahead to Luxembourg, the only remaining Grand Duchy. On our arrival, enjoy the orientation at the Place de la Constitution, the canyon in the city and Pont Adolphe. Overnight in Luxembourg or a nearby city. Luxembourg – Trier – Koblenz – Frankfurt (400 km) Today, we travel to Trier, Germany’s oldest city which has been named as “Second Rome” since Constantine the Great has administrated in here for 10 years. Then, we visit Porta Nigra which is the largest Roman city gate north of the Alps. Trier is also the birthplace of influential philosopher Karl Marx; the Karl- Marx- Haus Museum is the house in which he was born. Afterwards, we will drive to Koblenz where the Rhine River and Mosel River meet. We will stop in Koblenz for lunch and you can experience a cruise on the Rhine River*. Continue our journey to Frankfurt, with a stopover in Rudesheim. On our arrival in Frankfurt, visit Romer platz. Overnight in Frankfurt or a nearby city. English: Twin $1,318, Triple $1,318, Single $1,948, Child $1,318, Twin Child (bed) $1,318 Child (no bed) $1,118. To discover more parts of Europe, consider continuing your trip on 9D8N Eastern Europe Explorer package.